Saudi Arabia have announced that the first of Dhul Hijjah 1433 will begin tomorrow, Wednesday 17 October 2012. 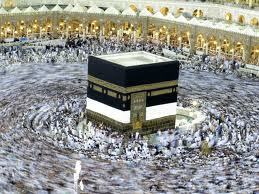 The day of ‘Arafa will fall on Thursday 18 October and ‘Eid Al Adha will be on Friday 26 October. May Allah shower his mercy upon us all in these blessed 10 Day of Dhul Hijjah and count us from amongst those that he pardons. * For those following local moon sightings, today is 29 Dhul Qa’dah 1433 and therefore if the moon is sighted tonight (of which there is a high probability that it will be sighted) then Dhul Hijjah will commence on Wednesday as per the Saudi Announcement. However, if for some reason the moon is not sighted locally then some people may choose to start Dhul Hijjah on Thursday 18 October 2012. We have entered the blessed month of Rajab tonight, Tue 22 May 2012. As we had negative moon sighting reports on Monday 29 Jumada Al Ukhra 1433 (21 May 2012), we have now completed 30 days for the month of Jumada Al Ukhra and the first day of Rajab 1433 will be tomorrow Wednesday 23 May 2012. As the crescent was not sighted on Saturday, yesterday we completed 30 days for the month of Jumada Al Ula and therefore today marks the beginning of the month of Jumada Al Ukhra 1433. There has been confirmed reports from Morocco that the crescent moon for the month of Rabi Al Thani was sighted yesterday, 29th of Rabi’ Al Awwal, and therefore the month of Rabi’ Al Thani will begin today insha Allah. The 1st of Rabi’ Al Thani corresponds to Thursday 23rd Feb 2012. As the crescent for Rabi’ Al Awwal was not sighted yesterday we have completed 30 days for the month of Safar. The month of Rabi’ Al Awwal will begin from tonight insha Allah with the first day of Rabi’ Al Awwal corresponding with Wednesday 25 January 2012. Alhamdu Lillah the moon for Safar 1433 was sighted last night in Morocco and therefore today, Monday 26 September 2011, marks the 1st of Safar 1433. As the moon was not sighted anywhere last night, we shall be completing 30 days for the month of Dhul Hijjah and the month of Muharra, 1433 will begin on Sunday 27th November 2011 insha Allah. May Allah (SWT) grant us a prosperous year and shower us in His blessings – Ameen! Alhamdu Lillah the moon was sighted in several places around the world yesterday and therefore we completed 29 Days for Shawwal and have commenced 01 Dhul Qa’dah 1432 from today onwards insha Allah.